Following the success of the 2018 premiership-winning season, Southport Sharks has been quick to recruit within the coaching department. We are delighted to announce Matthew Primus as an Assistant Coach for the 2019 season. Matthew has had a distinguished playing career, with 157 AFL games for Fitzroy and Port Adelaide. He was Captain of Port Adelaide from 2001–2005 and has served as an Assistant Coach at Port Adelaide and at the Gold Coast Suns. 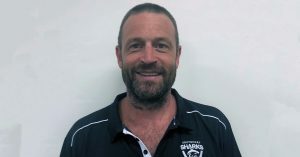 Matthew was the Senior Coach of Port Adelaide from 2010–2012. Southport Sharks General Manager of Football Operations, Jarrod Field is delighted with the acquisition. “Matthew has a great relationship with current coaches Steve Daniel and Matthew Lappin. We believe his experience will be a huge asset for the club next season” – Jarrod Field.